The great majority of buyers come to us and to other business brokers via 3rd party websites such as Bizbuysell or Bizquest. These companies aggregate the great majority of brokers listings, especially for businesses under $1,000,000 in market value or cash flow (SDE), many brokers rely on these websites almost 100% to generate buyer interest. If you are starting your search or looking on and off, these websites are an excellent source of listings. First time buyers may find these sites as a primary source of leads and the best avenue for locating a business to own. If you have been searching online for awhile and not finding the right opportunities we suggest you speak with us to pursue another market that has proven fruitful for prospective buyers. We have found that a secondary market exists for companies that are not listed for sale on these common websites. Opportunity exists for buyers who would like off market or pocket listings. Good brokers will have access to companies who will take meetings with buyers the broker has vetted. Quite often these are highly cultivated relationships built up over a few years as the sellers begin preparing for the day of sale. There are advantages and disadvantages to this type of search, for Sellers who don’t want to list for sale it’s quite often because of pricing or business valuation. We pass on many listings due to the unrealistic valuation expectations. However, we offer a full service, independent buyer search program for those entrepreneurs who desire to take a targeted, direct approach to buying a business. Our firm will assist you by organizing a targeted engagement and we will handle the research, the cold calling, the preparation and mailing of either letters &/or email campaigns to generate activity. We also can handle the financial review necessary to complete a valuation of the business. Our knowledge can uncover both positive and non-positive balance sheet and income statement issues. For more information please contact Jim Peddle at 312-525-9622 or email president@playbookadvisory.com. Local or nationwide search services to identify the business you are searching to purchase. 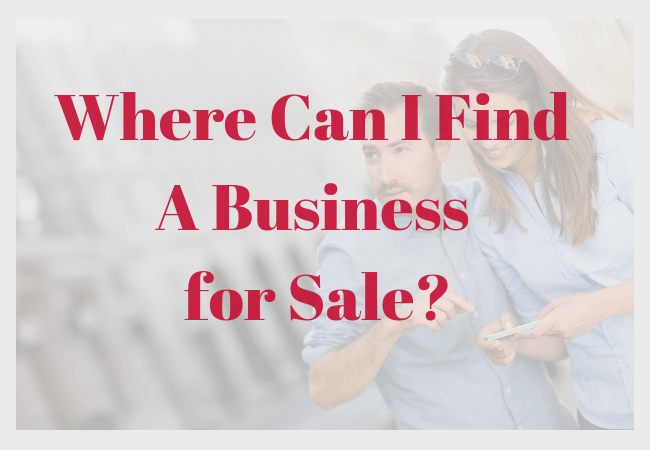 Are you interested in finding other Businesses for Sale?